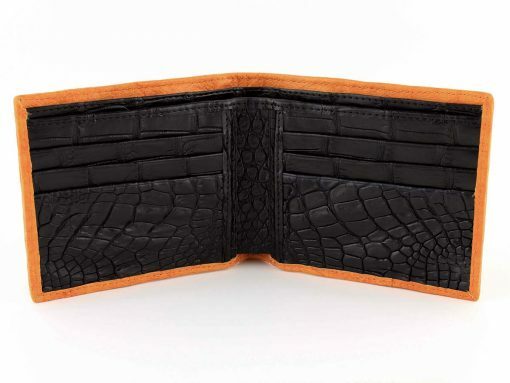 These ostrich wallets speak for themselves. 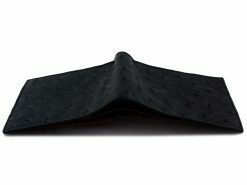 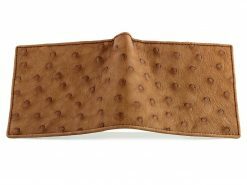 An ostrich wallet that is elegant, refined and totally unique. Every now and then the planets align, everything falls into place and we end up with a piece of art. 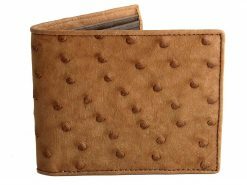 This exquisite wallet is exactly that. 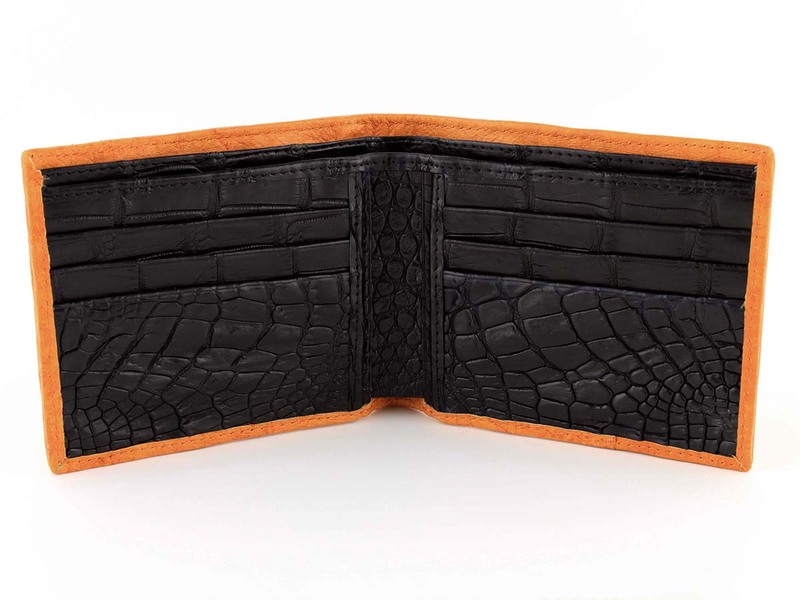 Taking advantage of a complex tanning and coloring method has given us a “distressed leather” vintage look and feel in a unique burnt orange. 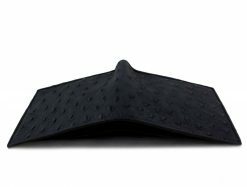 Add a black crocodile leather interior and this creation pops. 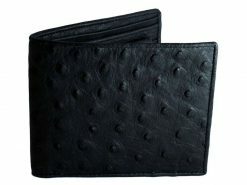 This ostrich wallet exudes class and elegance, suits those with a flair for bold colors and memories of days gone by. 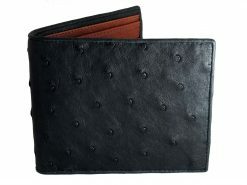 This is a complete one off, exclusive to Real Mens Wallets and wont last long.